Sugar cookies for Valentine’s Day. 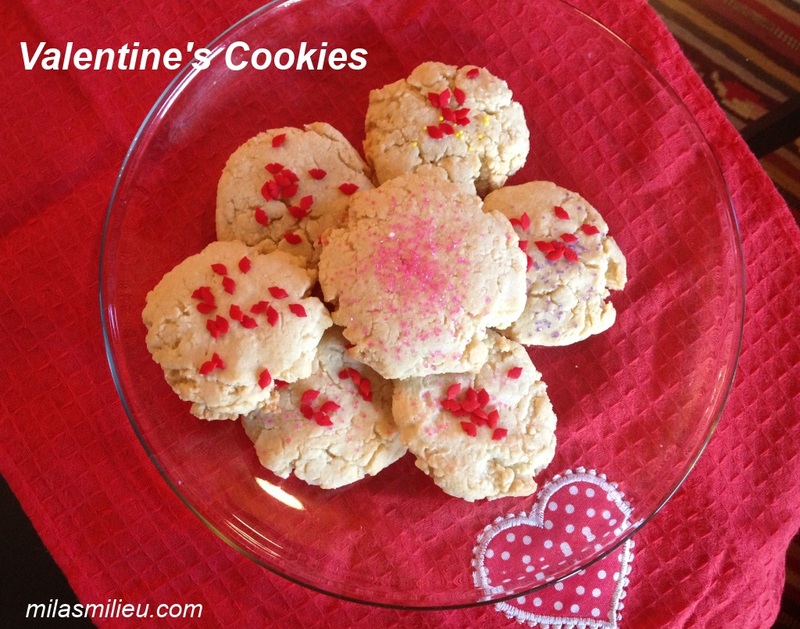 Yesterday we baked sugar cookies for the kids to take to school instead of customary Valentines. 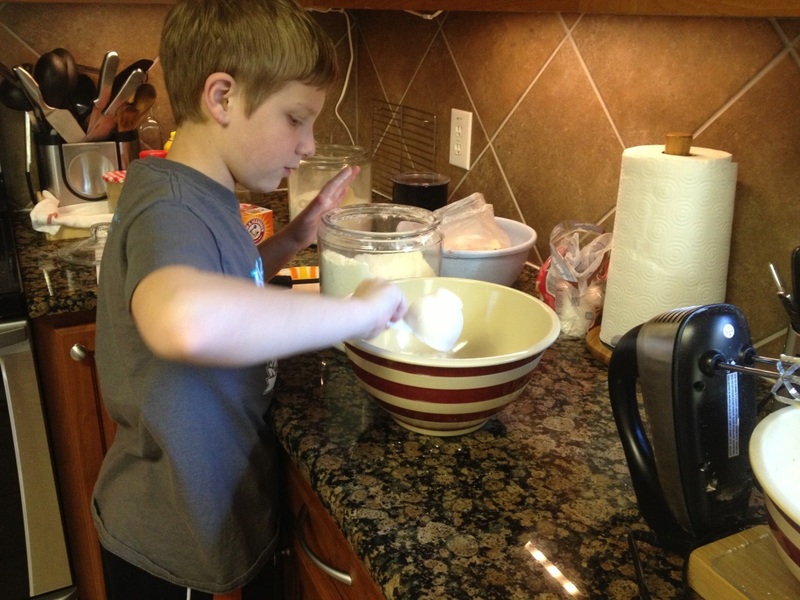 We have our favorite sugar cookie recipe but decided to try something new this year. We chose a recipe featured here. We skipped the frosting to make packaging and transporting them to school easier. We had a lot of fun baking the cookies, though the general consensus was that next time we should stick with our old recipe. The cookies were not bad: crunchy and moderately sweet. A few cookies have successfully passed the taste test right out of the oven :). But we are definitely in the “soft and fluffy” sugar cookie camp. Everyone’s tastes are different! Lesson learnt (for the kids): it is fine to try new things. Lesson learnt (for myself): be more mindful reading a recipe. 1 cup of butter+ 3/4 cup oil per 5 cups of flour = a crunchy cookie. Are you doing any Valentine baking this week? Please share.